We are very proud to be offering sponsorship to several Dorset based Royal British Legions at an event called ‘Eat & Meet’. 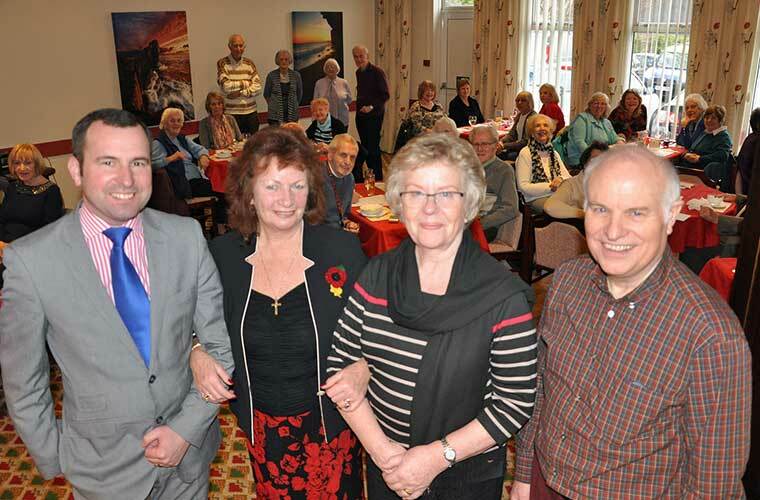 This event originated at the Broadstone RBL with the purpose of bringing together individuals who are on their own and would like the opportunity to meet others in a friendly environment. Members and non-members are welcome. For all members our local branch offer a £3 per head subsidy. Broadstone RBL sponsored by ‘Lesley Shand Funeral Services’. Please contact either ourselves or the relevant Royal British Legion for dates and times.